My class yesterday was unique because of one reason, the teacher. I had never seen this woman before in all of my classes thus far. She came in with a smile and an energy like she knew something that we did not know and was happy about it. She was about 7 minutes late as well and I could tell that a few people were not exactly thrilled about it. Anyhow, the other thing that was different about her was that she was the first teacher that i had ever seen that was not wearing the traditional all white flowing outfit. She was wearing this overall like thing that was very unique and outside of the box. So she got my attention right away because I like those who are a bit outside the lines. They let others know that they should expand their horizons a bit here and there. We started the class with the traditional mantra, and once again she did it differently. Her flow was faster and her tone was lower. So I had to adjust to this immediately and it was kind of fun actually. You see what drives me about this practice is the inconsistency of structure. The mantra happens in the beginning and at the end, however what happens in the middle is always a mystery. We did quite a few breathing exercises to start and they were relaxing, yet challenging in their own way. The exercises with the arms up are getting better and I am learning to breath into them more and more. During one movement, the teacher told us that this particular exercise was directed towards the gastric system, so not be embarrassed if somehow you were to release some gas. She was quite comical in her delivery of this sentence and a few people chuckled, but no big deal right? Well, what happens when you think about things too much? Well you can be sure that they will manifest in one way or another. I just thought what if a few people at one time let out gas and the room just fell apart from laughter at that moment? I could not get that thought out of my head. Not even 5 minutes after, the man in front of me made his gaseous debut and it was truly hilarious!!! It was like the universe was showing me not to fool around with it once again. Not one person reacted in a noticeable fashion, however, we all heard it for sure. That's just one of the funny parts of life I guess. It was hilarious though.. The last part of the class was mostly spent on the floor and I struggled a little with a pose that had us lay on our backs and hold our feet 6 inches in the air and hold our breath. Then came the DD Dilemma. 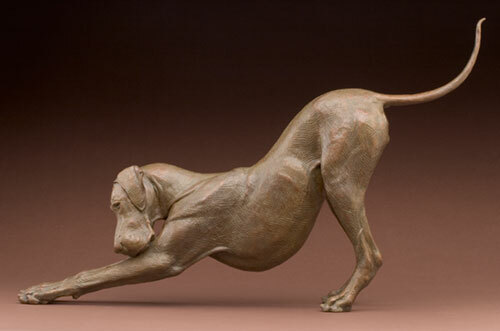 This stands for downward dog. This may be the most common of yoga poses for most kinds of yoga. It is a bit of a challenge for me because for my hamstrings, however, I will conquer it this year. We held ourselves in it for a good few minutes. It does provide a nice stretch and so forth, so its good to keep doing it consistently. Its just gets frustrating not to be able to lay my feet completely flat. I actually still feel it today on the backs of my legs. No problem though, when I am paining, I know that I am gaining. I am super excited about that fact. The dog will be down by the end of 2013!!! Its really so nice to feel this 26th day coming up and I am looking forward to starting a 40 day prosperity mantra as well. I will explain that a little more in the near future. I am sending out a little special slice of warmth to my magnificently wonderful and dear friend who just recently tried kundalini for the first time a few days back. Her class was good according to her and not that challenging, however, she will return and see where it takes her. I am proud of you and I am happy to have been a small part of your inspiration to try it. I love you dearly....Peace everyone.